Dustin Horter added a National Championship to his already extensive list of accomplishments this afternoon at New Balance Nationals Indoor at the Armory Track and Field Center! Horter, who is the No. 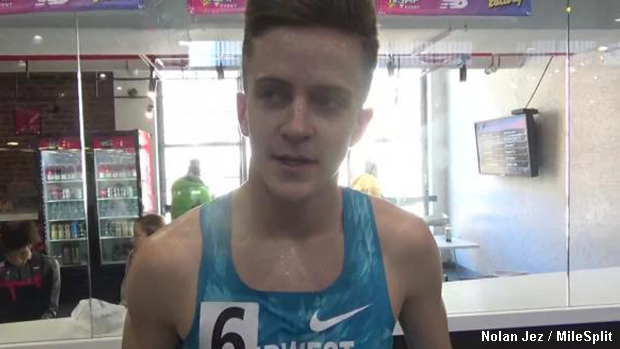 1 ranked 1600m athlete in the country, recorded a time of 4:08.03 to secure the 1 Mile race win. Following Horter were Ryan Lockett (MD) and Dalton Hengst (PA) who posted times of 4:08.82 and 4:09.10, respectively. The Lakota East senior's result represents an Ohio No. 1, a US No. 3 and a new indoor pr.